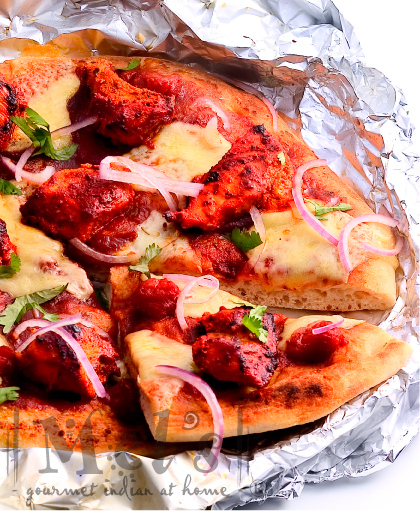 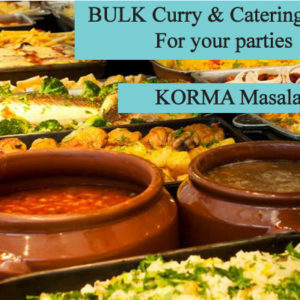 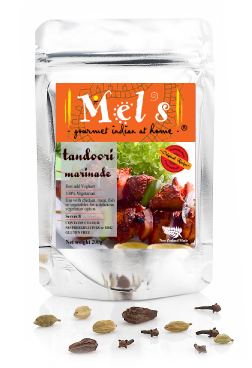 A traditional barbeque marinade which instantly takes you back to the cold, wintery nights in Northern India, where tender chicken and succulent squares of paneer (cottage cheese) and peppers roasted in the clay ovens and the delicious aromas would woo travelers on the dusty highways. 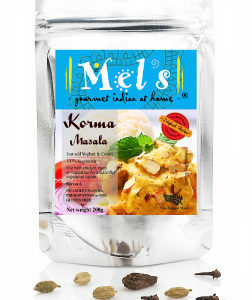 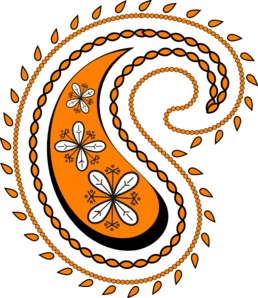 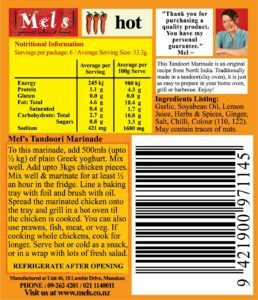 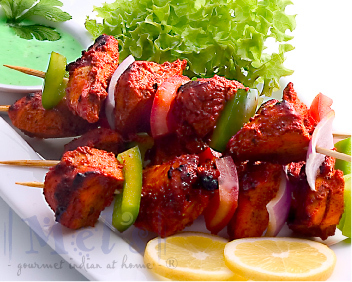 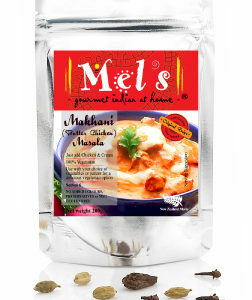 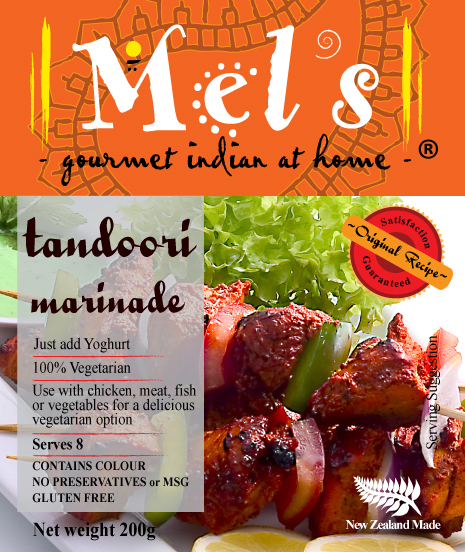 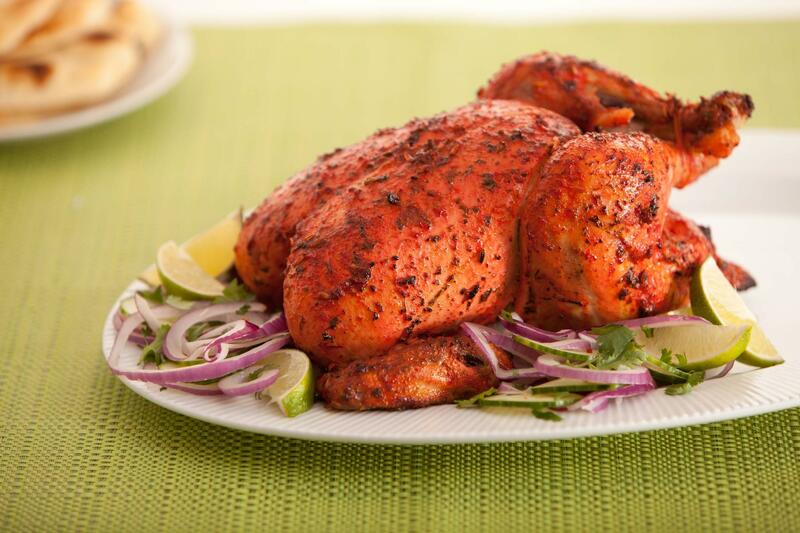 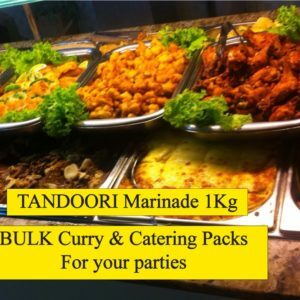 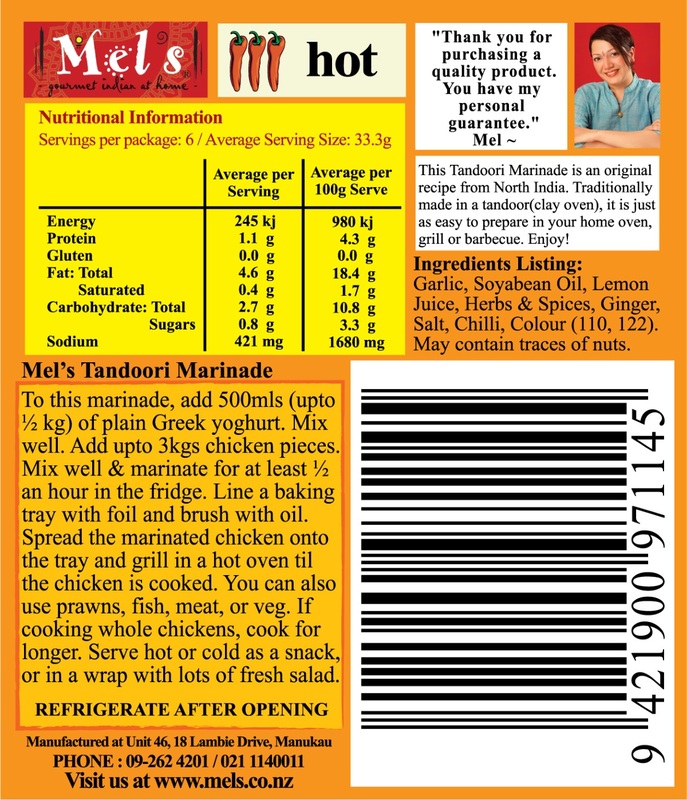 Mel’s Tandoori marinade is also delicious on tiger prawns done on the barbecue or in the oven. 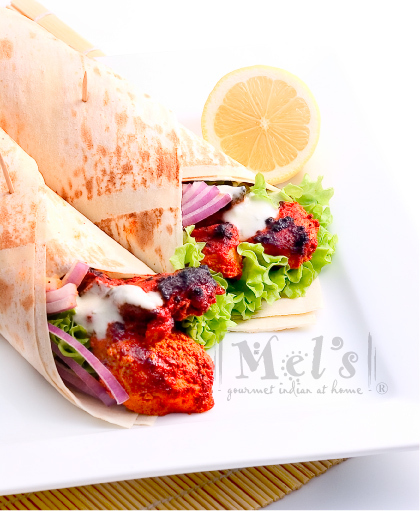 Tandoori cooked fare is always served on a bed of onion rings and wedges of lemon to squeeze-on and accompanied by a mint chutney.